Friday October 30th was the final day of the 40th U.S. Open Championship. The four remaining players going into the final day were Cheng Yu Hsuan, Karl Boyes, Ralf Souquet and Liu Hai-Tao. The first match of the day was the winners side final between Cheng Yu Hsuan vs Karl Boyes. Hsuan breezed through this match as if he had no pressure and not a care in the world winning 11-4. If I were to look back at the entire week of matches, all the players from Chinese-Taipei were very focused and composed. The type of composure they exhibited was the kind only a player being properly trained and supported can have. As we have come to find out recently the Chinese-Taipei government actively supports their players by way of salary, training facility and expenses for tournaments. In my opinion this directly effects performance and it showed this week. In North America there is no lack of talent but there is a major lack of support. Currently I believe I can count on a single hand the amount of North American players who are financially set in terms of not needing "backers" for tournament entries and travel expenses. This is a form of support, however backers take a percentage of the winnings to cover their expenses and at times profit from it. With prize pools being so small, for a backed player even winning the U.S Open this year means they might get to take home $20,000. How far does that go when considering in one year these players travel to China, Philippines, Europe and Qatar. Therefore players from Europe and Asia where governments put in money to properly train and support them, have a big edge on North American players who try to grind out a living every weekend. I believe that is what we saw take place here this week and I think outside of a very select few North American players they will find it very difficult to keep up in the coming years. After Boyes lost in the winners side final he waited for the 4th place match to play out. This was between the resurgent Ralf Souquet and Liu Hai-Tao. Souquet had his best performance in a major championship in easily two years during this U.S Open. In the end he came up a little bit short losing 11-6 to finish 4th but should give him a confidence boost going forward. The way that Hai-Tao was playing, I liked his chances to beat Boyes and earn himself a spot in the final. He got off to a great start and kept the pressure on right up till 9-4. Then in a flurry which featured 4 break and runs and some stellar safety play the Englishmen went on to win 11-9. Unfortunately for Boyes the final against Hsuan played out virtually in the same manner as their previous match. Boyes was unable to get a break going and was down early 9-3 and brought the score to 9-6 before a dry break. From here Hsuan basically broke and ran out the set winning 13-9 and became the first ever player from Chinese-Taipei to win the U.S Open 9 Ball Championship. This was the first major title final for Hsuan and it was almost eerie how cool, calm and collected he was. This U.S Open more than any other tournament in recent memory showed me that the world class standard is constantly rising. Between Ko-Pin Yi who won the World 9 Ball and 10 Ball titles this year and Hsuan, they own all the major pool titles this year outside the World Pool Masters. Also I should not forget to mention that it was Chinese-Taipei who won the World Cup of Pool scotch doubles title this year. To me the "proof is in the pudding" that in order to compete, North Americans need to have government backed training facilities and money in reserve for travelling expenses, otherwise I feel as a continent we will be left behind. Congratulations to Chen Yu Hsuan on winning his first of what looks like will be a series of major international titles. I have made last minute plans to attend the Steinway Classic which begins tomorrow in Astoria, New York. Steinway Billiards is a world renowned pool hall that is also the home room for one of my favorite players Earl Strickland. The latest edition of the players list was over 100, many of who just played the U.S Open. This will be my first time seeing the likes of the Ko brothers live and more. 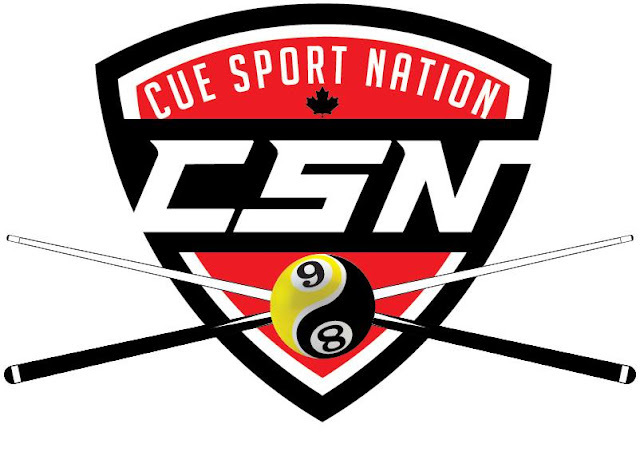 I will have video, pictures and article updates throughout the tournament, you can keep updated on the Cue Sport Nation Facebook page.